AmazonStudios has arranged a contest to create a poster for one of their forthcoming independent films. 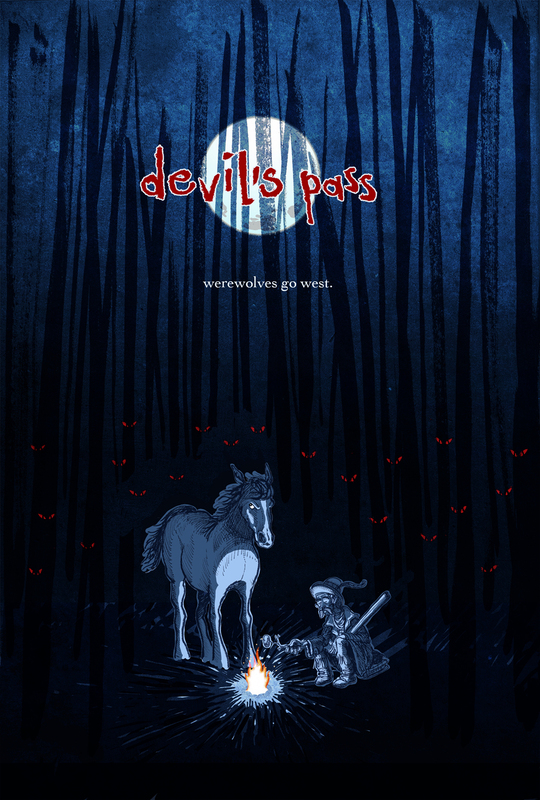 I have created a poster for “Devil´s Pass”, a movie about werewolves and cowboys: sounds good! It´s not even in preproduction, but I can´t wait to see it! Here you have my design. The sentence “werewolves go west” is mine, but I thought it fits perfectly (and it is too fun to be forgotten!). You can vote for my design at Amazon Studios website: the winner will appear in every promotion, so please vote my design (if you like it!). Another illustration for SONY Music children´s book. The release has been postponed until 2012 due to make a bigger release with big surprises: details soon!